Runs with Sole: Get back to you! If your summer was anything like ours, there wasn't much me-time. Working around the kids' summer schedules left little time to schedule anything else, let alone a consistent workout routine. Well, the kids are back in school and it's time to get back to you. And we're here to help. 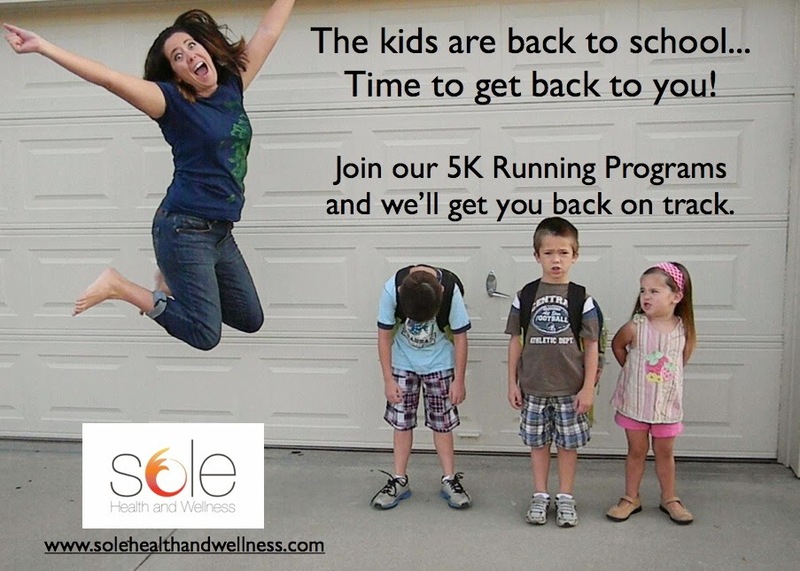 Join one of our Fall 5K Programs and we'll help you go from 0 to 5K in 8 weeks. Whether your running took a backseat to summer fun, you're coming back from an injury or you've never run before, these programs are designed to help you get to the starting line of a 5K race in a fun, supportive way, all while minimizing risk of getting hurt. Already a seasoned runner? Forward this info to anyone you think would be interested in starting a running program. It's hard to get started alone. With us, you don't have to.